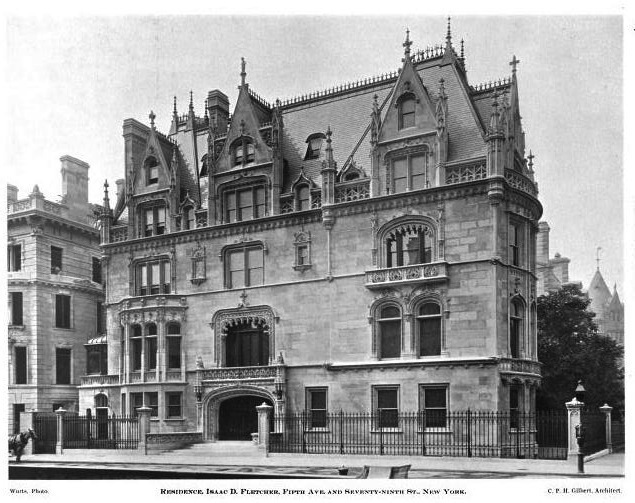 The Isaac D. Fletcher residence designed by C.P.H. 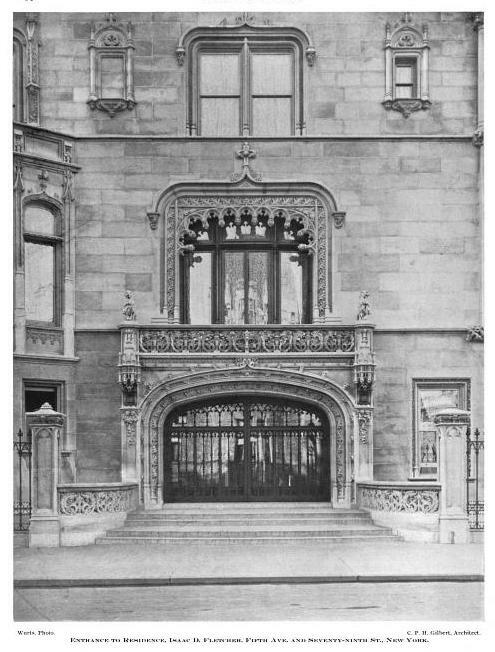 Gilbert between 1897-1899 at 2 East 79th Street in New York City. The house was purchased by Harry F. Sinclair following Fletcher's death in 1917. 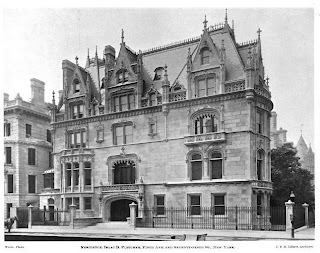 In 1955 the residence was purchased by the Ukrainian Institute of America which still uses the house as their headquarters. 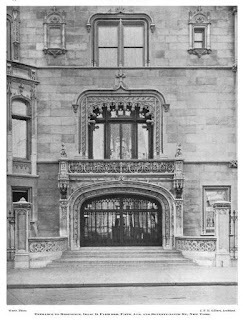 Click HERE for Christopher Gray's Streetscapes article on the Fletcher residence and HERE for more. Click HERE to see the house on google street view. And there's that bay window motif again. all the delicate lacey copper cresting and finials piercing the sky are sorely missed in the current view yet it's still a stunning building.